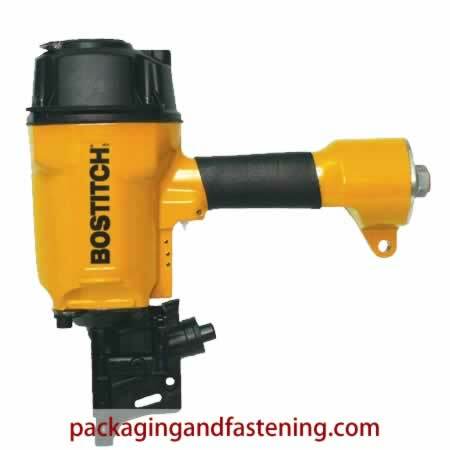 Bostitch pneumatic industrial coil nailers are available now at packagingandfastening.com for your industrial nail fastening applications today. Check out our complete-line of collated coil nail guns for your next job. Buy your pneumatic coil nailing tools online for fencing, trusses and more high production nailing and fastening uses. Get more information. Check out our complete-selection of coil nail guns. 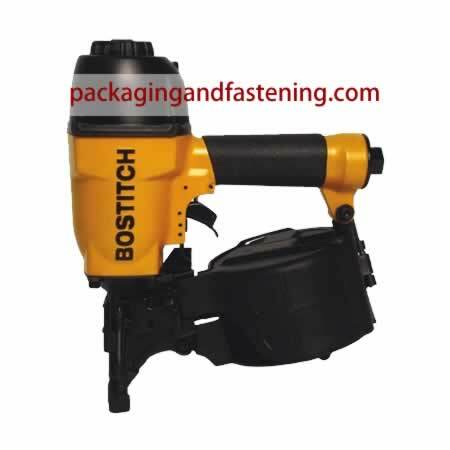 Get details for pneumatic crating nailers, pallet nailers and more uses including fencing coil nailers and truss air coil nailers as well as modular conststuction tools. 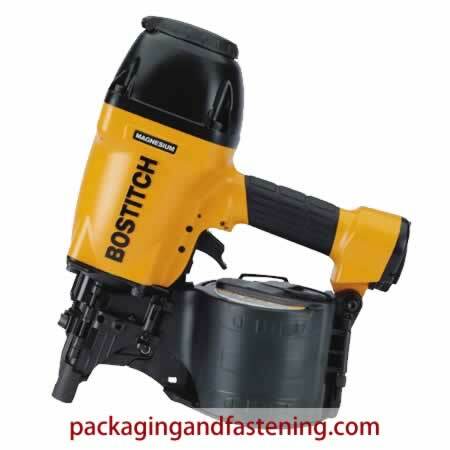 Industrial coil nailers are available online now. Learn more. 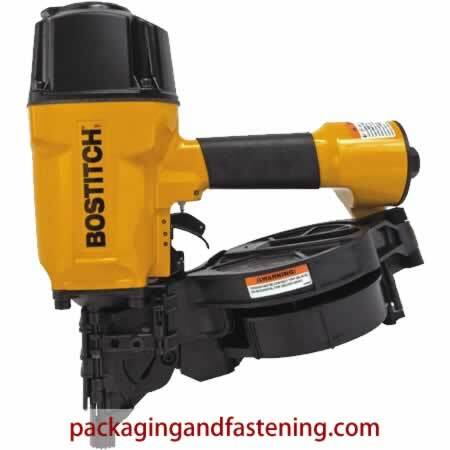 The IC60-1 Industrial Coil Nailer is a durable and strong Bostitch coil nailer. Its aluminum housing and cap makes it lightweight and compact. The IC60-1 has a large capacity magazine for your fastening convenience. • Uses 15 degree coil nails from 1" (25MM) to 2-3/8" (60MM) x .080" (2MM) to .090" (2.3MM). Fasten pallets, crates, fencing and more. Learn more now. BOSTITCH Fastening Systems, ("BOSTITCH") warrants to the original retail purchaser that this product is free from defects in material and workmanship... Read more. 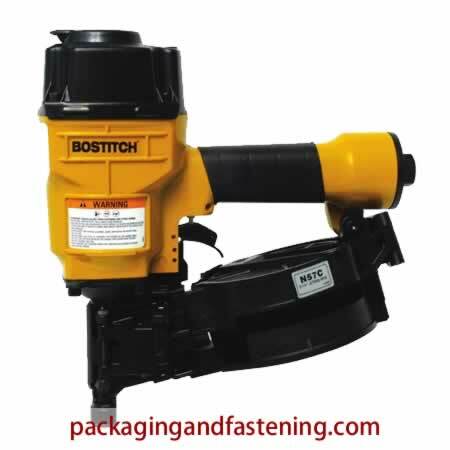 The N57C Round Head Coil Framing Nailer is a strong, industrial coil framing nailer. Its aluminum housing makes it lightweight and has a large capacity magazine for durability and your fastening convenience. Fasten pallets, crates, fencing and more with coil nails for your application online now. Learn more. 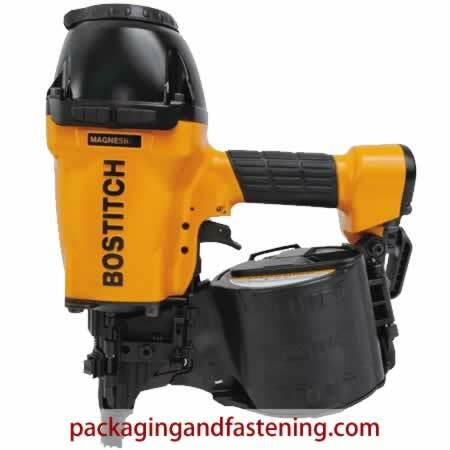 The N64084-1 Round Head Coil Framing Nailer is a strong coil pallet nailer. Its aluminum housing makes it lightweight and has a large capacity magazine for durability and your fastening convenience. 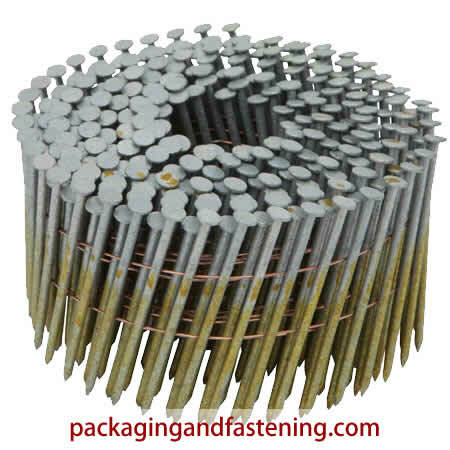 Coil nails for fastening pallets and crates are available. Learn more. 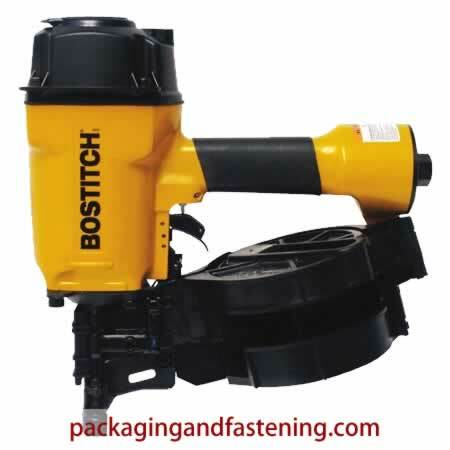 The N64099-1 Round Head Coil Framing Nailer is a strong, industrial pallet coil nailer. Its aluminum housing makes it lightweight and has a large capacity magazine for durability and your fastening convenience. Fasten pallets and crates with Pallet Plus™ coil nails. Learn more. The N70CB-1 Round Head Coil Framing Nailer is a strong coil framing nailer. Its aluminum housing makes it lightweight and has a large capacity magazine for durability and your fastening convenience. 15 Degree Coil Nails: .099 - .148 shank diameter coil nails are available. Learn more. 15 Degree Coil Nails: .099 screw shank nails are here online. Learn more. 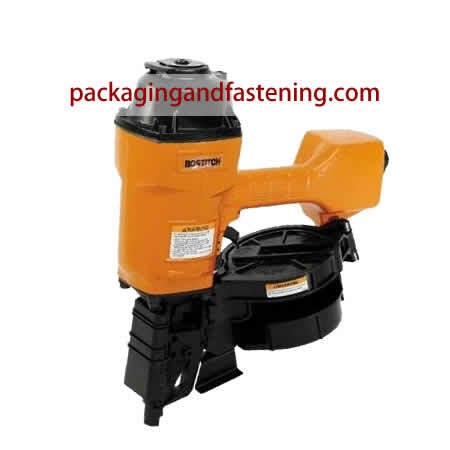 The N70CBPAL Round Head Coil Pallet Nailer is a high quality industrial coil pallet nailer. Its aluminum housing makes it durable and uses larger capacity coils for less nail loading and your fastening convenience. 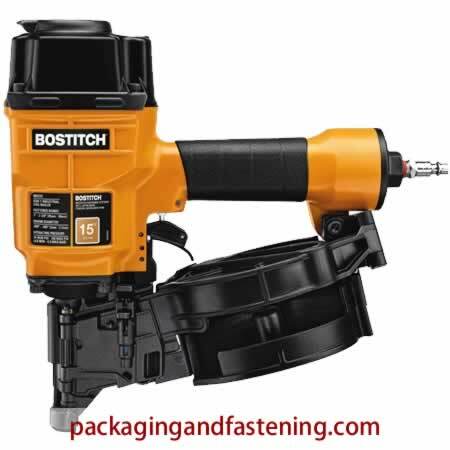 The N80CB-1 Round Head Coil Framing Nailer is a strong, industial coil framing nailer. The N80CB-1 is housed in aluminum and has a large capacity magazine for jobsite durability and your convenience. The N80CB-1ML Round Head Coil Framing Nailer is a strong coil framing nailer. The N80CB-1ML is housed in aluminum and has a large capacity magazine for production durability and your convenience. Effective December 1, 2005 BOSTITCH, L.P. warrants to the original retail purchaser that the product purchased is free from defects in material and workmanship, and agrees to... Read more. The N89C 15-degree Coil Framing Nailer is lightweight and easy to manage. You can adjust coil nails to your desired depth with the push of a button. Also, Bostitch engineers designed the N89C to direct exhaust away from your face for convenience. Depend on the N89C 15-degree coil framing nailer for high-production. The N89C-1P 15-degree Heavy Duty Pallet, Fence Nailer is lightweight and easy to manage. You can adjust coil nails to your desired depth with the push of a button. Also, Bostitch engineers designed the N89C-1P to direct exhaust away from your face for convenience. Depend on the N89C-1P 15-degree coil framing nailer for high-production. • Drives wire collated nails .099" - .148"
The N100C 15-degree Coil Framing Nailer is High-power engine drives nails up to 4" length while the N100C magazine holds up to 300 coil nails. The aluminum housing makes for job site durability. The quick-open composite canister survives falls. You can adjust coil nails to your desired depth with the push of a button. Bostitch's engineers designed the tool to direct exhaust away from your face for convenience. You can depend on this 15-degree Coil Framing Nailer for high production. Uses 15° Wire Collated Coil Nail .099 - .148 Shank Diameter. Available in: Coated, Galvanized 15 Degree Wire & Plastic Collated: 2 1/2" - 3" - 3 1/4" - 3 1/2" and 4" coil nails.